For Star Trek fans, Sir Patrick Stewart will always be Captain Jean-Luc Picard, but to the rest of the world who know him too well, he is a Hollywood icon. With a career that has stretched over six decades, along with various award nominations and wins (such as Golden Globe, Emmy, Saturn, Olivier, etc), the actor is one of the highest-paid faces that appear in Hollywood films. Besides acting, the X-Men actor has also made a mark as a marketable brand with several voicing and starring stints in video games as well. Sir Patrick Stewart is the son of Gladys and Alfred Steward. He was born on 13 July 1940 in England. He started at Crowlees Church of England Junior and Infants School where he had his first Shakespearean performance. He furthered his drama training at Mirfield Secondary Modern School but abandoned everything he had ever wanted to achieve from the school at age 15 to concentrate on working at the local theatre. While at the theatre, he got a side job of reporting and writing obituaries to support himself financially. However, his plans failed him when his employer didn’t buy the idea of juggling between his job and acting. Stewart had to resign his job and focus fully on acting and fortunately, he got a scholarship to attend Bristol Old Vic Theatre School. In 1966, which was the same year he married his first sweetheart Sheila, Stewart started acting on stage. By 1987, he made his film debut and since then his filmography has grown quite long just like his honors or awards in the industry. He has also engaged in other ventures which have ended equally successful such as voicing and starring in video games. Sir Patrick is a film icon and his time in the industry has earned some good fortune over the years. As it stands, he probably never have to work again if he decides not to, so it is no wonder he has been focusing more on activism and charity than making film appearances since 2014. With $70 million net worth, he can successfully improve women’s right and achieve the war against domestic violence which he has dedicated himself to in recent years. 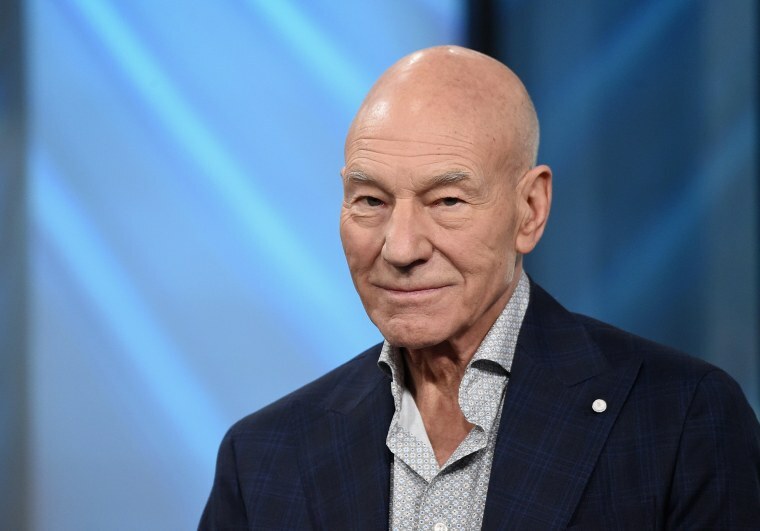 Sir Patrick’s friendship or bromance with fellow X-men actor, Ian McKellen has made some fans question if their relationship is mainly brotherly or if there is more to it especially after he kissed the Lord of The Rings actor as they walked the red carpet in London sometime in 2015. Stewart is obviously not gay even though Ian, his supposed best friend is openly gay after he announced his sexuality in 1988 during a BBC Radio programme. He has had different histories with various women and is currently married to the woman after his heart. Further proof is the statement of Ian who has confirmed that his best friend is not a gay and is simply not judgemental against gay people. In fact, his public display of affection on Ian McKellen could have been a way of showing support to the gay community. Patrick Stewart – Wife, Who Is She? Patrick Stewart has been married more than once. His first go at marriage was with Sheila Falconer whom he married in 1966. They ended their 24-year-old marriage in 1990 after having two children Daniel and Sophia. The couple’s first son, Daniel, is also into acting and is known for his roles in the Death Train and Star Trek: The Next Generation which also featured Sir Patrick Stewart. His second marriage was to Wendy Neuss, a TV and film producer who was one of the producers of the celebrated film Star Trek: The Next Generation. They tied the knot in 2000 and their marriage crashed legally in 2003. Stewart didn’t give himself much time to stay without love. Even before his divorce with Wendy, he was already seeing actress Lisa Dillon, who he probably fell for on-screen during the filming of The Master Builder. Their relationship flourished in the beginning but in 2007, his love for Lisa got soured and by the next year Stewart was already dating Sunny Ozell. He married the singer in 2013 and Ian performed at their wedding. Sir Patrick shares an admirable and elevating friendship with Ian McKellen. It is such friendship so real that we usually see in fictional stories. Maybe it inspired many poets and writers to come up with outstanding sonnets and story-lines. Their relationship isn’t the longest we know, but within the few years it spans, the two have almost turned into brothers. It all started when they met at the Royal Shakespeare company when Ian McKellen joined the team which Sir Patrick was already a participant. They didn’t quite connect the first time and it took Sir Patrick a lot of courage to walk up to him and exchange pleasantries. After working hard together to give their best in the play written by Tom Stoppard together titled Everyone Deserves a Favour, they never get to speak to each other again until 1999 during the filming of Bryan Singer’s X-Men. Steward and McKellen started bonding during the making of the film that starred both men as Professor X and Magneto respectively. Since then a strong force has held them together after they found out there was so much they had in common. First, they are both Northerners though Sir Patrick Steward is a Lancastrian while Ian is a Yorkist. They both had the same kind of childhood and classical training in acting (stage performance). Nonetheless, the only thing that didn’t quite match between the duo was the fact that Ian had a smarter education than himself who had none. Both men remain fond of themselves and act like they’ve known each other since forever.